Nebraska Grants Conditional Approval to Major Tax Incentives Package for NioCorp’s Elk Creek Project - NioCorp Developments Ltd.
CENTENNIAL, Colo. (December 18, 2017) — NioCorp Developments Ltd. (“NioCorp” or the “Company”) (TSX: NB, OTCQX: NIOBF, FSE: BR3) is pleased to announce that the State of Nebraska has conditionally approved a package of tax incentives for the Company’s Elk Creek Superalloy Project (the “Project”) that may be worth more than $100 million over the first 10 years of the Project’s commercial operation. Even with these incentives, the Project is estimated to generate cumulative tax revenue to state and local Nebraska units of government of several hundred million dollars over its estimated 32-year lifespan from corporate income, sales, real and tangible personal property, payroll, and other taxes. 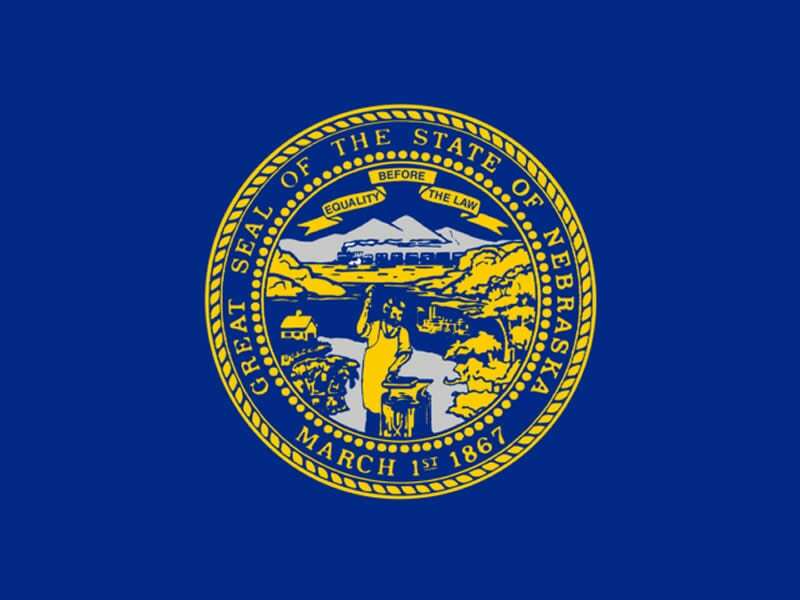 The tax incentives would be granted under the Nebraska Advantage program, which is authorized by state statute to provide tax and other incentives to qualifying companies that establish manufacturing operations in the state and meet and maintain certain investment and job creation goals. Actual amounts of any tax incentives provided to the Project will depend upon many factors, including state and federal tax rates, allowed deductions, debt service levels, and other factors that determine state and federal tax liabilities at the time any incentives are realized. The financial model used in NioCorp’s Elk Creek Project Feasibility Study assumed the receipt of some state tax incentives, so these preliminary tax incentive estimates are not expected to materially impact the economic results forecast in the Project’s Feasibility Study. Of the more than $1 billion in net upfront capital expenditures required to construct and bring the Project into operation over that period, a large portion of those funds may be spent in Nebraska. Once in production, the Project is estimated to support as many as 466 full-time jobs, generating an average of $39 million in annual payroll. Additionally, $129 million is estimated to be required for annual operating expenditures. Over the operational life of the Project, an estimated $5.3 billion will be spent on operating expenses. In addition to the construction jobs and full-time operational workers, the Project may support the creation of more than 1,000 additional jobs in Nebraska and throughout the economy. This estimate is based on the U.S. Bureau of Economic Analysis’ estimate that 2.3 additional jobs are created for every job directly associated with an average metal mining project. 466 Peak number of permanent jobs once in full-scale operation. 1,232 Construction jobs at height of 3.5-year construction period. 1,035 Additional jobs potentially created as a result of the Project’s operation. $39 million Average annual employee payroll once in full operation. $1.08 billion Total net up-front capital expenditures for Project construction. $5.3 billion Cumulative operating expenditures for the Project over the estimated 32 operational life of the Project. Neither TSX nor its Regulation Services Provider (as that term is defined in the policies of the TSX) accepts responsibility for the adequacy or accuracy of this document. Certain statements contained in this document may constitute forward-looking statements, including but not limited to qualification by the Company and receipt of any tax and other benefits from the Nebraska Advantage program, any macroeconomic benefits that may be generated by the Elk Creek Project, potential future production at the Elk Creek Project, anticipated products to be produced at the Elk Creek Project, the future critical and strategic nature of niobium and scandium, anticipated costs of production at the Elk Creek Project being competitive, and anticipated competitive advantages. Such forward-looking statements are based upon NioCorp’s reasonable expectations and business plan at the date hereof, which are subject to change depending on economic, political and competitive circumstances and contingencies. Readers are cautioned that such forward-looking statements involve known and unknown risks, uncertainties and other factors that may cause a change in such assumptions and the actual outcomes and estimates to be materially different from those estimated or anticipated future results, achievements or position expressed or implied by those forward-looking statements. Risks, uncertainties and other factors that could cause NioCorp’s plans or prospects to change include risks related to the Company’s ability to operate as a going concern; risks related to the Company’s requirement of significant additional capital; changes in demand for and price of commodities (such as fuel and electricity) and currencies; changes in economic valuations of the Project, such as Net Present Value calculations, changes or disruptions in the securities markets; legislative, political or economic developments; the need to obtain permits and comply with laws and regulations and other regulatory requirements; the possibility that actual results of work may differ from projections/expectations or may not realize the perceived potential of NioCorp’s projects; risks of accidents, equipment breakdowns and labor disputes or other unanticipated difficulties or interruptions; the possibility of cost overruns or unanticipated expenses in development programs; operating or technical difficulties in connection with exploration, mining or development activities; the speculative nature of mineral exploration and development, including the risks of diminishing quantities of grades of reserves and resources; and the risks involved in the exploration, development and mining business and the risks set forth in the Company’s filings with the SEC at www.sec.gov.. NioCorp disclaims any intention or obligation to update or revise any forward-looking statements whether as a result of new information, future events or otherwise.